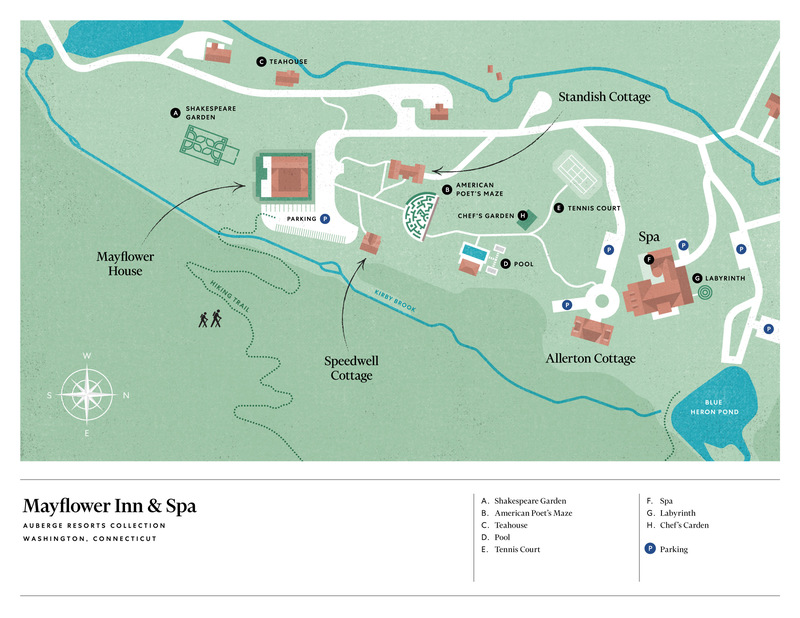 Located in the idyllic town of Washington in Connecticut, Mayflower Inn & Spa is an exquisite country retreat, nestled in 58 acres of beautifully landscaped gardens and woodland. Just two hours’ drive from New York City, it is renowned as one of northeast America’s most distinguished luxury hideaways. Memories are made easily when you stay at our boutique hotel in Litchfield County, a portal to a simpler time, where the definitive measure of the good life is in soul-stirring moments rooted in the idyllic countryside. The days are longer, so leave work on Friday and escape to the countryside to toast the week's success stories. 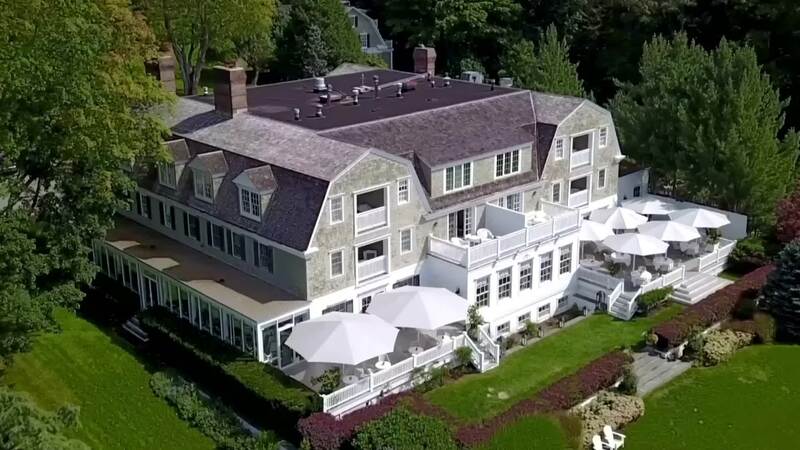 Overlook the rolling hills of Connecticut's countryside and enjoy a 30% discount for Friday night with a sunset cocktail, $100 food & beverage credit and breakfast for two daily. Plan ahead and save! Enjoy 15% off Best Available Rate if you book at least 30 days in advance. Hike through meadows and wetlands, cycle along the banks of Lake Waramaug or take a cheesemaking class at a family-run farm - the unrivalled pleasures of the Litchfield Hills await. Excellence on every level.... beautifully decorated with the most inviting and cozy sitting rooms and parlors on the first floor. The wood panelled library is so inviting.... beautiful books surround you in this intimate library with a blazing fire going at the hearth; can you imagine anything better? I never knew I would find my perfect pair of Manolo Blahniks in the rolling hills of Connecticut. Beyond a pasture rife with bright red barns and hundreds of free-roaming cows, I traded in my exclusive invitation from the Mayflower to enter Arethusa Farm & Dairy, where Manolo Blahnik’s President and VP George Malkemus and Tony Yurgaitis have led operations since 1999. Melody Rodgers, who’s estate jewelry has graced the pages of numerous publications and glimmered on the arm (or ears, necks and wrists) of many a celebrity, knows that the allure of vintage jewelry is about the story they so exquisitely hold. Our newly-engaged couples enjoy the opportunity to work with Melody one-on-one in creating their customized memory piece. With each repurpose and repair, Melody works as part designer, part storyteller, as she assists in weaving your cherished history with the precise kind of wearable sparkle you had envisioned. Hiking has always set me at ease, and I look forward to trips to Connecticut for the serenity that comes with being immersed in the surrounding natural splendor. That’s exactly why I keep returning to the trails that wind along the Steep Rock Preserve. Not only does the 998-acres of idyllic hiking trails reveal sweeping viewpoints, lush hillsides, and babbling brooks with every step, but also unveils historic, hidden gems along the way.